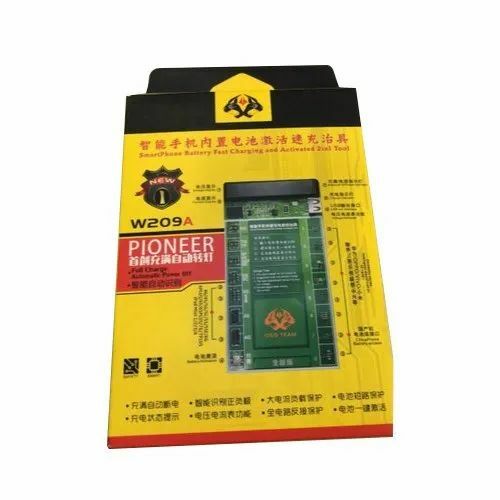 Amongst the chief organizations of this domain, we are occupied in providingPioneer Mobile Battery Booster to our clients, which is highly demanded in the market. Established in year 2015, Maa Durga is one of the leading Manufacturer, Wholesaler and Trader of Mobile Screwdriver Set, Soldering Iron, Mobile Opening Tools, Battery Booster,Digital DC Power Supply, Soldering Elements and much more. Due to our professional expertise, we have been the industry leaders and thus our role becomes stronger to fulfill the diverse needs of our prominent clients.